62. M. Schwarze, C. Gaul, R. Scholz, F. Bussolotti, A. Hofacker, K. S. Schellhammer, B. Nell, B. D. Naab, Z. Bao, D. Spoltore, K. Vandewal, J. Widmer, S. Kera, N. Ueno, F. Ortmann and K. Leo, “Molecular parameters responsible for thermally activated transport in doped organic semiconductors” Nat. Mater. 18, 242 (2019). Nat. Mater. 17, 439 (2018). 60. D. Spoltore, A. Hofacker, J. Benduhn, S. Ullbrich, M. Nyman, O. Zeika, S. Schellhammer, Y. Fan, I. Ramirez, S. Barlow, M. Riede, S. R. Marder, F. Ortmann and K. Vandewal, “Hole Transport in Low-Donor-Content Organic Solar Cells” J. Chem. Phys. Lett. 9, 5496 (2018). 59. T. Arnold, A. Atxabal, S. Parui, L. E. Hueso and F. Ortmann, “Hot Electrons and Hot Spins at Metal–Organic Interfaces” Adv. Funct. Mater. 28, 1706105 (2018). 58. K. Vandewal, J. Benduhn, K. S. Schellhammer, T. Vangerven, J. E. Rückert, F. Piersimoni, R. Scholz, O. Zeika, Y. Fan, S. Barlow, D. Neher, S. R. Marder, J. Manca, D. Spoltore, G. Cuniberti, and F. Ortmann, “Absorption Tails of Donor:C60 Blends Provide Insight into Thermally Activated Charge-Transfer Processes and Polaron Relaxation” J. Am. Chem Soc. 139, 1699 (2017). 57. P. Ordejón, D. Boskovic, M. Panhans, and F. Ortmann, “Ab initio study of electron-phonon coupling in rubrene” Phys. Rev. B 96, 035202 (2017). 56. A. Atxabal, S. Braun, T. Arnold X. Sun, S. Parui, X. Liu, C. Gozalvez, R. Llopis, A. Mateo-Alonso, F. Casanova, F. Ortmann, M. Fahlman, and L. E. Hueso, “Energy Level Alignment at Solution Processed Polymer/Metal Interfaces” Adv. Mater. 29, 1606901 (2017). 55. M. Richter, K. S. Schellhammer, P. Machata, G. Cuniberti, A. Popov, F. Ortmann, R. Berger, K. Müllen and X. Feng, “Polycyclic heteroaromatic hydrocarbons containing a benzoisoindole core” Org. Chem. Front. 4, 847 (2017). 54. A. W. Cummings, S. O. Valenzuela, F. Ortmann, and S. Roche “Graphene Spintronics” in 2D Materials: Properties and Devices, Eds. : P. Avouris, T. F. Heinz, and T. Low, Cambridge University Press, (2017). 53. J. Ma, J. Liu, M. Baumgarten, Y. Fu, Y.-Z. Tan, K. S. Schellhammer, F. Ortmann, G. Cuniberti, H. Komber, R. Berger, K. Müllen, and X. Feng, “A Stable Saddle-Shaped Polycyclic Hydrocarbon with Open-shell Singlet Ground State” Angew. Chem. Int. Ed. 56, 3280 (2017). 52. C. Yang, K. S. Schellhammer, F. Ortmann, S. Sun, R. Dong, M. Karakus, Z. Mics, M. Löffler, F. Zhang, X. Zhuang, E. Cánovas, G. Cuniberti, M. Bonn, and X. Feng, “Coordination Polymer Framework Based On-Chip Micro-Supercapacitors with AC Line-Filtering Performance” Angew. Chem. Int. Ed. 56, 3920 (2017). 51. A. Lücke, F. Ortmann, M. Panhans, S. Sanna, E. Rauls, U. Gerstmann, W. G. Schmidt, “Temperature Dependent Hole Mobility and its Limit in Crystal-Phase P3HT Calculated from First Principles” J. Phys. Chem. B, 120, 5572 (2016). 50. X. Wang, F. Zhang, K. S. Schellhammer, P. Machata, F. Ortmann, G. Cuniberti, Y. Fu, J. Hunger, R. Tang, A. A. Popov, R. Berger, K. Müllen, X. Feng, “Synthesis of NBN-Type Zigzag-Edged Polycyclic Aromatic Hydrocarbons: 1,9-Diaza-9a-boraphenalene as a Structural Motif” J. Am. Chem Soc. 138, 11606 (2016). 49. M. Lorenz-Rothe, K. S. Schellhammer, T. Jägeler-Hoheisel, R. Meerheim, S. Kraner, M. P. Hein, C. Schünemann, M. L. Tietze, M. Hummert, F. Ortmann*, G. Cuniberti, C. Körner, K. Leo “From Fluorine to Fluorene – A Route to Thermally Stable aza-BODIPYs for Organic Solar Cell Application” Adv. Electron. Mater. 1600152 (2016). 47. N. Leconte, F. Ortmann, A. Cresti, S. Roche, “Unconventional Features in the Quantum Hall Regime of Disordered Graphene: Percolating Impurity States and Hall Conductance Quantization” Phys. Rev. B 93, 115404 (2016). 46. F. Ortmann, S. Roche and S. O. Valenzuela (Eds.) 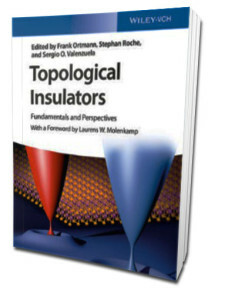 “Topological Insulators: Fundamentals and Perspectives” Wiley-VCH Weinheim, Germany (2015). 45. F. Ortmann, S. Roche and S. O. Valenzuela, “Quantum Spin Hall Effect and Topological Insulators” in “Topological Insulators: Fundamentals and Perspectives”, p.1-10. 44. F. Ortmann, N. Leconte, and S. Roche “Efficient Linear Scaling Approach for Computing the Kubo Hall Conductivity” Phys. Rev. B 91, 165117 (2015). 43. A. Lücke, W. Schmidt, E. Rauls, F. Ortmann, and U. Gerstmann “Influence of Structural Defects and Oxidation onto Hole Conductivity in P3HT” J. Phys. Chem. 119, 6481 (2015). 42. 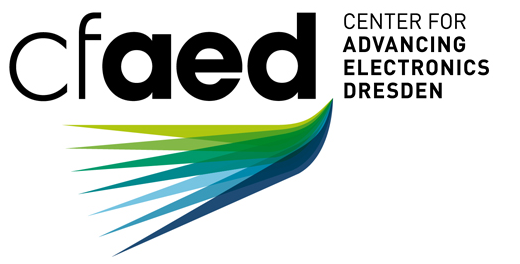 S. Kraner, J. Widmer, J. Benduhn, E. Hieckmann, T. Jägeler‐Hoheisel, S. Ullbrich, D. Schütze, K. S. Radke, G. Cuniberti, F. Ortmann, M. Lorenz‐Rothe, R. Meerheim, D. Spoltore, K. Vandewal, C. Koerner, and K. Leo “Influence of side groups on the performance of infrared absorbing aza-BODIPY organic solar cells” Phys. Stat. Sol. A 212, 2747 (2015). 41. H. Quang, A. Bachmatiuk, A. Dianat, F. Ortmann, J. Zhao, J. Warner, J. Eckert, G. Cuniberti, M. Rümmeli, “In-Situ Formation of Free-Standing Graphene-like Mono- and Bi- layer ZnO Membranes” ACS Nano 9, 11408 (2015). 40. F. Ortmann, K. S. Radke, A. Günther, D. Kasemann, K. Leo, and G. Cuniberti “Materials Meets Concepts in Molecule-based Electronics” Adv. Funct. Mater. 25, 1933 (2015). 39. D. Soriano, D. Van Tuan, S. M.-M. Dubois, M. Gmitra, A. W. Cummings, D. Kochan, F. Ortmann, J.-C. Charlier, J. Fabian and S. Roche “Spin transport in hydrogenated graphene” 2D Mater 2, 022002 (2015). 38. D. Van Tuan, F. Ortmann, D. Soriano, S. O. Valenzuela, and S. Roche “Spin-Pseudospin Entanglement and Spin Relaxation in Graphene” Nature Phys. 10, 857–863 (2014). 37. A. Bachmatiuk, A. Dianat, F. Ortmann, H. Ta Quang, M. Cichocka, I. Gonzalez-Martinez, L. Fu, B. Rellinghaus, J. Eckert, G. Cuniberti, and M. H. Rümmeli “Graphene coatings for the mitigation of electron induced desorption and fullerene cap formation from flakes” Chem. Mater. 26, 4998 (2014). 36. N. Leconte, S. Roche, F. Ortmann, A. Cresti, and J.-C. Charlier, “Quantum transport in chemically functionalized graphene at high magnetic field: defect-induced critical states and breakdown of electron-hole symmetry” 2D Materials 1, 021001 (2014). 35. K. S. Radke, R. Scholz, F. Ortmann, K. Leo, and G. Cuniberti “Dynamic Effects on the Charge Transport in an Organic Near-Infrared Absorber Material” J. Phys. Chem. C 118, 6537 (2014). 34. R. Martinez-Gordillo, S. Roche, F. Ortmann, and M. Pruneda “Transport Fingerprints at Graphene Superlattice Dirac Points Induced by Boron-Nitride Substrate” Phys. Rev. B 89, 161401(R) (2014). 33. K.S. Radke, F. Ortmann, and G. Cuniberti “Concepts and Modeling for Charge Transport in Organic Electronic Materials” in “Supramolecular Materials for Opto-Electronics” Ed. : N. Koch, RSC Publishing (2014). 32. F. Ortmann and S. Roche “Splitting of the Zero-Energy Landau Level and Universal Dissipative Conductivity at Critical Points in Disordered Graphene” Phys. Rev. Lett. 110, 086602 (2013). 31. A. Cresti, F. Ortmann, T. Louvet, D. Van Tuan, and S. Roche “Broken Symmetries, Zero- Energy Modes and Quantum Transport in Disordered Graphene: From Supermetallic to Insulating Regimes” Phys. Rev. Lett. 110, 196601 (2013). 30. A. Cresti, T. Louvet, F. Ortmann, D. Van Tuan, P. Lenarczyk, G. Huhs, and S. Roche “Impact of Vacancies on Diffusive and Pseudodiffusive ElectronicTransport in Graphene” Crystals 3, 289 (2013). 29. D. Van Tuan, J. Kotakoski, T. Louvet, F. Ortmann, J. Meyer, S. Roche “Scaling Properties for Charge Transport in Polycrystalline Graphene” Nano Lett. 13, 1730 (2013). 28. F. Ortmann and S. Roche “Multiscale Transport methods for exploring nanomaterials and nanodevices” in “Multiscale Modelling Methods for Applications in Materials Science” Eds. : I. Kondov and G. Sutmann, Forschungszentrum Jülich, Germany, IAS Series Volume 19 (2013). 26. D. Van Tuan, A. Kumar, S. Roche, F. Ortmann, M. F. Thorpe, and P. Ordejon “Insulating Behaviour of an Amorphous Graphene Membrane” Phys. Rev. B Rapid Communication 86, 121408(R) (2012). 25. S. Roche, N. Leconte, F. Ortmann, A. Lherbier, D. Soriano, and J.-C. Charlier “Quantum Transport in Disordered Graphene: A Theoretical Perspective” Sol. State Comm. 152, 1404–1410 (2012). 24. B. Oetzel, F. Ortmann, L. Matthes, F. Tandetzky, F. Bechstedt, and K. Hannewald “Large bandwidths in synthetic one-dimensional stacks of biological molecules” Phys. Rev. B, 86, 195407 (2012). 23. F. Ortmann, and S. Roche “Charge Transport in Organic Crystals: Temperature Tuning of Disorder Effects” Phys. Rev. B Rapid Communication 84, 180302(R) (2011). 22. 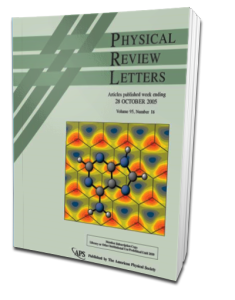 F. Ortmann, A. Cresti, G. Montambaux, and S. Roche “Magnetoresistance in Disordered Graphene: The Role of Pseudospin and Dimensionality Effects Unraveled” EPL 94, 47006 (2011). 21. S. Roche, F. Ortmann, A. Cresti, B. Biel, and D. Jimenez “Quantum Transport in Graphene-Based Materials and Devices: From Pseudospin Effects to a New Switching Principle” in “Graphene Synthesis and Applications” Eds. : W. Choi and J. Lee, Taylor and Francis Books/CRC Press (2011). 20. M. H. Rümmeli, C. G. Rocha, F. Ortmann, I. Ibrahim, H. Sevincli, F. Börrnert, J. Kunstmann, A. Bachmatiuk, M. Pötschke, M. Shiraishi, M. Meyyappan, B. Büchner, S. Roche and G. Cuniberti “Graphene: Piecing it Together” Adv. Mater. 23, 4471(2011). 19. F. Ortmann, F. Bechstedt, and K. Hannewald “Charge transport in organic crystals: Theory and modeling” Phys. Stat. Sol. B 248, 511 (2011). 18. F. Ortmann, F. Bechstedt, and K. Hannewald “Charge Transport in Organic Crystals: Interplay of Band Transport, Hopping, and Electron-Phonon Scattering” New J. Phys. 12, 023011 (2010). 17. B. Höffling, F. Ortmann, K. Hannewald, and F. Bechstedt “Cysteine Adsorption on Au(110): A First-Principles Study” Phys. Rev. B 81, 045407 (2010). 16. U. Treske, F. Ortmann, B. Oetzel, K. Hannewald, and F. Bechstedt “Electronic and Transport Properties of Graphene Nanoribbons” Phys. Stat. Sol. A 207, 304 (2010). 15. F. Ortmann, F. Bechstedt, and K. Hannewald “Characteristics of small and large polaron motion in organic crystals” J. Phys. Cond. Mat. 22, 465802 (2010). 14. B. Höffling, F. Ortmann, K. Hannewald, and F. Bechstedt “Interface with Organic Molecules: Cysteine on Au(110)” Phys. Stat. Sol. C 7, 149 (2010). 13. F. Ortmann, F. Bechstedt, and K. Hannewald “Theory of charge transport in organic crystals: Beyond Holstein’s small-polaron model” Phys. Rev. B 79, 235206 (2009). 12. F. Ortmann, K. Hannewald, and F. Bechstedt “Charge Transport in Guanine-Based Materials” J. Phys. Chem. B 113, 7367 (2009). 11. R. Leitsmann, F. Ortmann, F. Bechstedt “Quantum confined Stark effect in embedded PbTe nanocrystals” in: High Performance Computing in Science and Engineering ‘08 (Springer, Berlin 2009), p. 59. 10. F. Ortmann, K. Hannewald, and F. Bechstedt “Ab initio description and visualization of charge transport in durene crystals” Appl. Phys. Lett. 93, 222105 (2008). 9. B. Oetzel, M. Preuss, F. Ortmann, K. Hannewald, and F. Bechstedt “Quantum transport through nanowires: Ab initio studies using plane waves and supercells” Phys. Stat. Sol. B 245, 854 (2008). 8. F. Ortmann, K. Hannewald, and F. Bechstedt “Electronic properties of durene crystals: Implications for charge transport” Phys. Stat. Sol. B 245, 825 (2008). 7. F. Ortmann, K. Hannewald, and F. Bechstedt “Guanine Crystals: A First Principles Study” J. Phys. Chem. B 112, 1540 (2008). 6. R. Maul, F. Ortmann, M. Preuss, K. Hannewald, and F. Bechstedt “DFT studies using supercells and projector-augmented waves for structure, energetics, and dynamics of glycine, alanine, and cysteine” J. Comput. Chem. 28, 1817 (2007). 5. F. Ortmann, K. Hannewald, and F. Bechstedt “Ab initio studies of structural, vibrational, and electronic properties of durene crystals and molecules” Phys. Rev. B 75, 195219 (2007). 4. R. Maul, M. Preuss, F. Ortmann, K. Hannewald, and F. Bechstedt “Electronic Excitations of Glycine, Alanine, and Cysteine Conformers from First-Principles Calculations” J. Phys. Chem. A 111, 4370 (2007). 3. F. Ortmann, F. Bechstedt, and W. G. Schmidt “Semiempirical van der Waals correction to the density functional description of solids and molecular structures” Phys. Rev. B 73, 205101 (2006). 2. W. G. Schmidt, K. Seino, M. Preuss, A. Hermann, F. Ortmann, and F. Bechstedt “Organic molecule adsorption on solid surfaces: chemical bonding, mutual polarisation and dispersion interaction” Appl. Phys. A 85, 387 (2006). 1. F. Ortmann, W. G. Schmidt, and F. Bechstedt “Attracted by Long-Range Electron Correlation: Adenine on Graphite” Phys. Rev. Lett. 95, 186101 (2005).